The island of Bohol is not only known for its picturesque views, stunning beaches, and vibrant nightlife but also for the mouthwatering eats that you can find on the island. Panglao Island alone is home to restaurants that are guaranteed to make your Bohol food trip one of the bests that you’ll ever have. 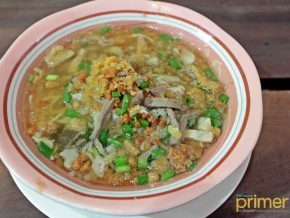 You’ll find that it’s not just home to Filipino eats but also to different cuisines. Here’s a list of some of the restaurants that you wouldn’t want to miss out on when you’re in Bohol. Barwoo in Tawala, Panglao is one of the popular go-to spots for expats in Bohol. It’s the perfect place if you’re looking to eat somewhere that’s less-intimidating and laidback. At Barwoo, you’ll find Asian flavors as well as a few dishes with a twist. We recommend trying the Chili Rose Prawn Pasta (Php 400) or the Buta Mayo Don (Php 350) if you’re looking to eat something that you can eat alone or for two. You’ll love the creaminess and the slight spiciness of the pasta topped with well-seasoned prawns. The Buta Mayo Don, on the other hand, is reminiscent of a traditional Japanese rice bowl with chunks of deep-fried pork drizzled with homemade teriyaki and mayo. What’s so good about it is that the mayonnaise doesn’t overpower the dish but rather, enhances the flavor of the dish more. For a meal that’s ideal for groups, we recommend Spare Ribs Platter (Php 700). The ribs tender is coated with sweet soy barbecue sauce. The platter comes with a side of salad and a cornucopia of fries. You’ll also find beers from The Cebruery and cocktails at Barwoo. Laya at The Peacock Garden is a culmination of history and gastronomic experiences. The restaurant features an East-Meets-West concept with their palatable eats from steaks, pasta, and even schnitzel. The restaurant is home to intercontinental as well as local flavors that will surely leave you wanting more! 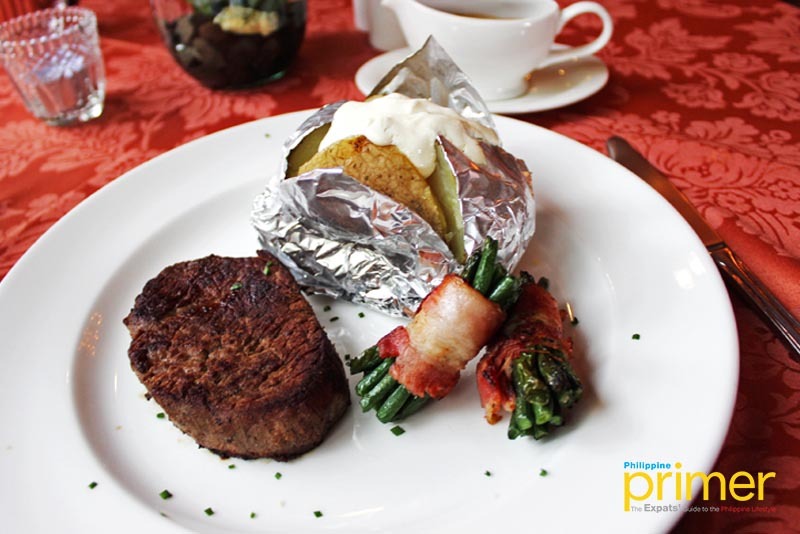 Their Grilled Beef Steak (Php 995) is succulent and goes perfectly well with the Red Wine Sauce or the Herb Butter Sauce. It’s served with bacon bean and baked potato. The sides complement the steak very well and make for a perfect meal. Treat yourself to their homemade ice cream too, the flavors are unique and curated in-house at the restaurant. A bit of history also comes alive in this restaurant with displays of memorabilia featuring Dr. Jose Rizal, the Philippine national hero. Bohol’s BE Grand Resort has some of the best eats with their five restaurants! 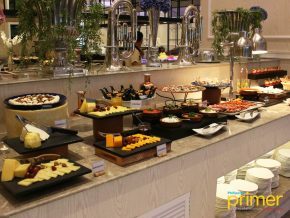 The Food Hall features Asian cuisine and serves the buffets at BE Grand as well as ala carte dishes. They also have alfresco dining for those who want to relax by the pool. They also have the Bridge, which is mainly a bar and restaurant serving an ala carte menu that it shares with the other restaurants. Bridge also serves pizza, sandwiches, cocktails, and wines. The Monkey Bar, on the other hand, is at their waterfront and allows guests to dine at a garden with a sea view. 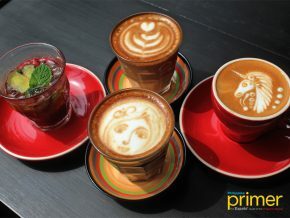 They offer refreshing drinks and grilled delights. They also have the Lune, which is a rooftop bar that carries tapas and cocktails with a perfect view of the sunset. Lastly, The Boathouse is BE Grand’s fine-dining restaurant, situated near their villas. The Boathouse serves only the freshest and serves the most mouthwatering steaks on this side of the island. Mosia Cafe, nestled in Tagbilaran City, is the perfect setting for an intimate hangout after a long day of exploring the island. They’re also one of the first establishments to embrace the green movement for a more environment-friendly Bohol. What’s more is that they also support the “Adopt, Don’t Shop” advocacy and often use some of their proceeds to help stray cats and dogs. Mosia also strives to use only the freshest and most natural ingredients for their desserts. 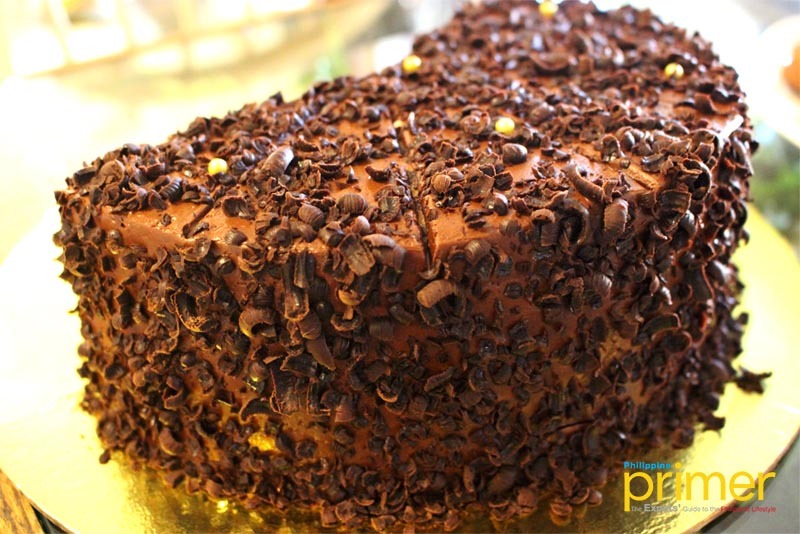 Try their Brigadeiro Cake (Php 230/slice), a cake with chocolate fudge icing and filling that usually take them overnight to prepare. They serve artisanal desserts that are made daily, thus, their menu changes every day as well. You can always expect something new whenever you visit Mosia Cafe. If you’re lucky, you might also be able to see and interact with cats and dogs, often rescue animals, at the cafe with their rescuers. Persona Mesa exudes a comfortable and elegant atmosphere that touches both taste and sight. 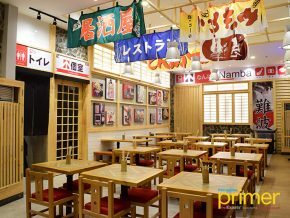 The owner, Ms. Josephine Yamada, is very much hands-on with the restaurant operations and even helps Chef Lor Torres when it comes to their modern Filipino and Asian specialties. Try their Signature Persona Spareribs (Php 430), which is grilled with their secret sauces and has a twist of strong oriental flavors that can be countered with a bit of lemon. You’ll also be able to sample vegetable spring rolls, beef rendang, and even spareribs at this restaurant. They have some Pinoy favorites at the restaurant, including their own Turon with a Twist! 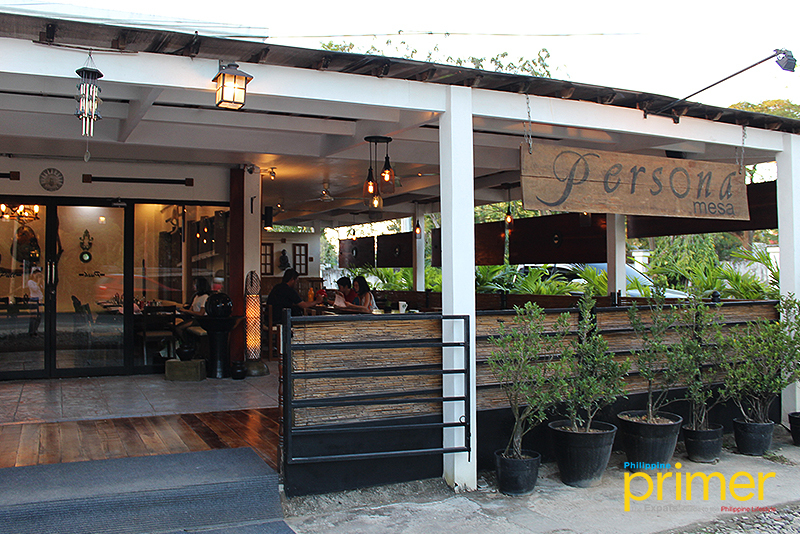 Persona Mesa is definitely one of the restaurants that you should try out during your visit to Tagbilaran City. Luna Rossa Vegetarian Italian Restaurant in Panglao Island offers inventive and sumptuous dishes, worthy of the Italian tongue. It is one of the vegetarian-friendly restaurants on the island, serving a variety of pasta, pizzas, and desserts. These are best paired with their selection of premium wines available for all to taste. 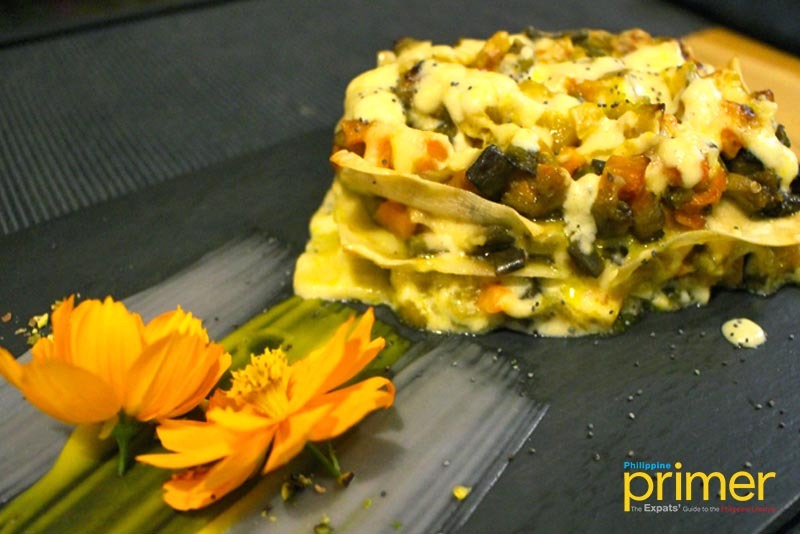 Their Spring Lasagna (Php 350) with its pasta made al dente, its vegetables mixed into the dish, and its perfectly blended sauce, this ensemble is surely a recommended dish for both vegetarians and those who are trying to be one. Potato lovers will not be disappointed as well with Luna Rossa’s Potato Skewers with Eggplant Cream (Php 300). Not only does it have that softness in the potato but adding the eggplant cream gives it a totally new and unique flavor. 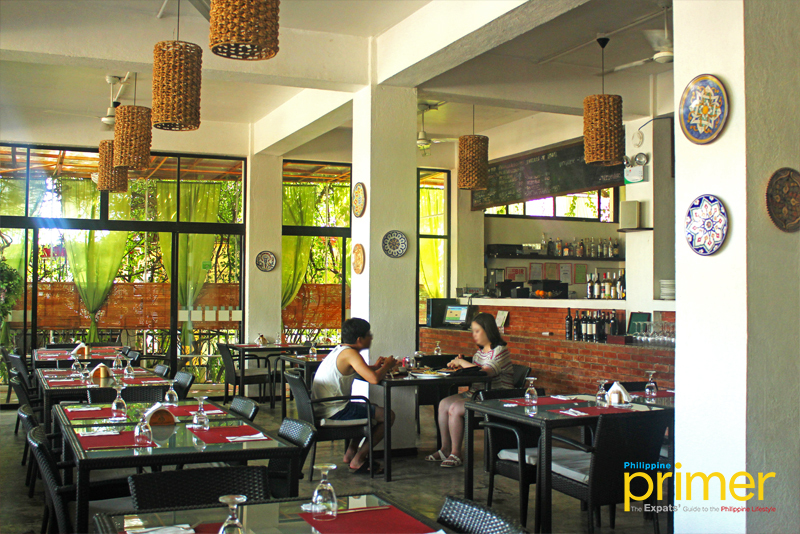 So park your motorbikes and stop over at Luna Rossa in Panglao to try their sumptuous, vegetarian-friendly treats! 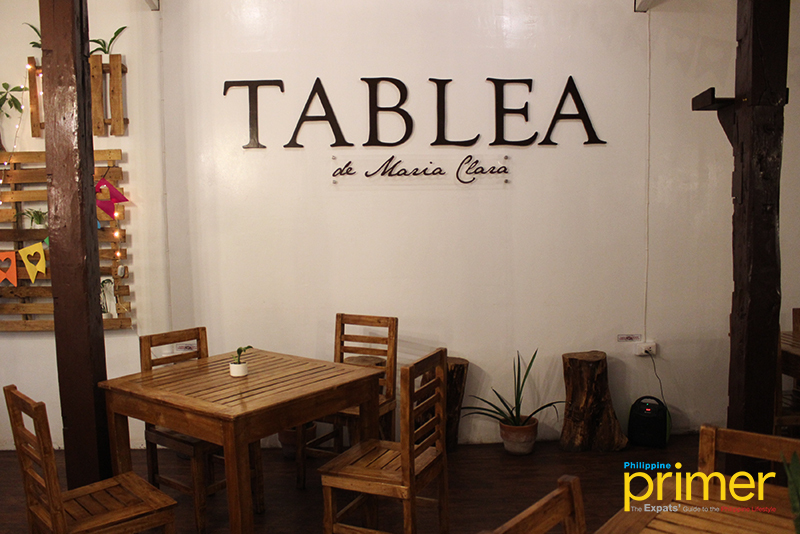 Tablea de Maria Clara is one of the hidden gems of Tagbilaran City. Not only does it cater to the locals and expats near Maria Clara Street, but it also supports farmers from Guindulman and Sierra Bulliones in Bohol. These farmers grow cacao beans made into Sicuate (Php 89). Sicuate is a thick and creamy unsweetened chocolate drink, best served hot. 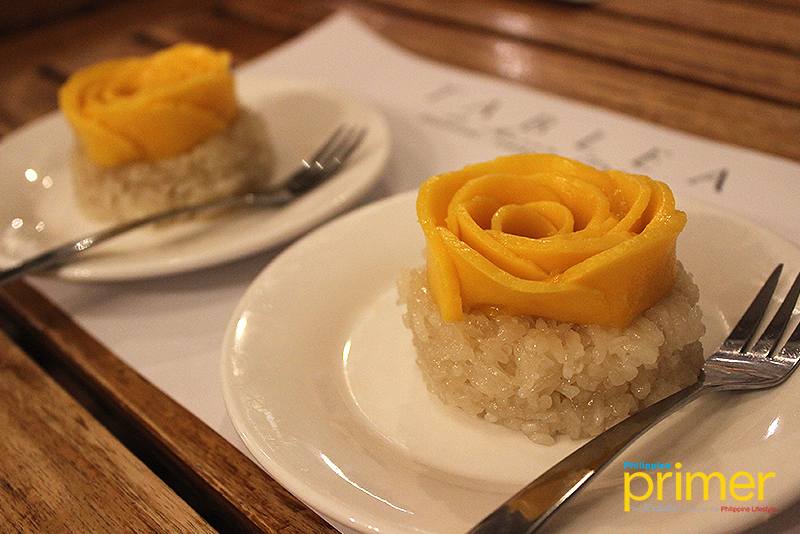 The drink easily resembles dark chocolate, and is perfectly accompanied by the town favorite, Puto Maya (Php 109) or thick rice cake with a rose-shaped mango on top. The result works magic on your palate as the gingery touches of the Puto Maya interact with the sweet mango, only to burst with that creamy, unsweetened Espeso. 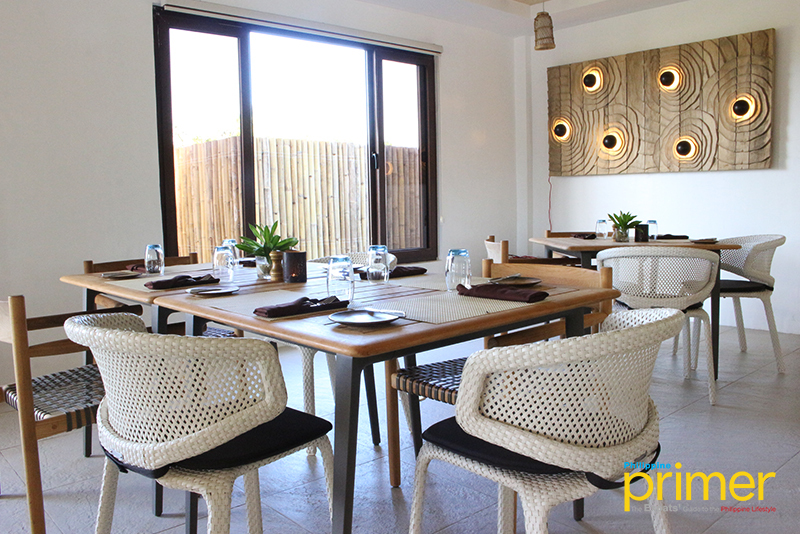 This minimalist restaurant is one of the newer establishments on the island. 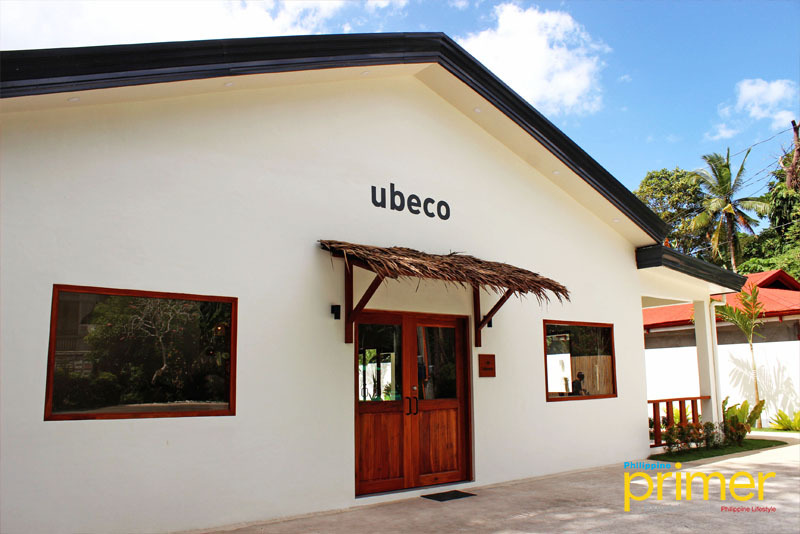 Ubeco is a family business owned by Yubin, a Korean nationality who doubles as their chef, while her sister serves as the cafe’s barista. 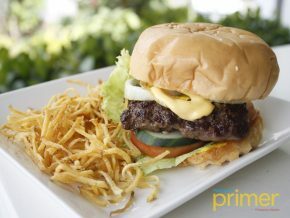 The restaurant opened their doors just last February 20, and serves comfort food along with a variety of drinks. 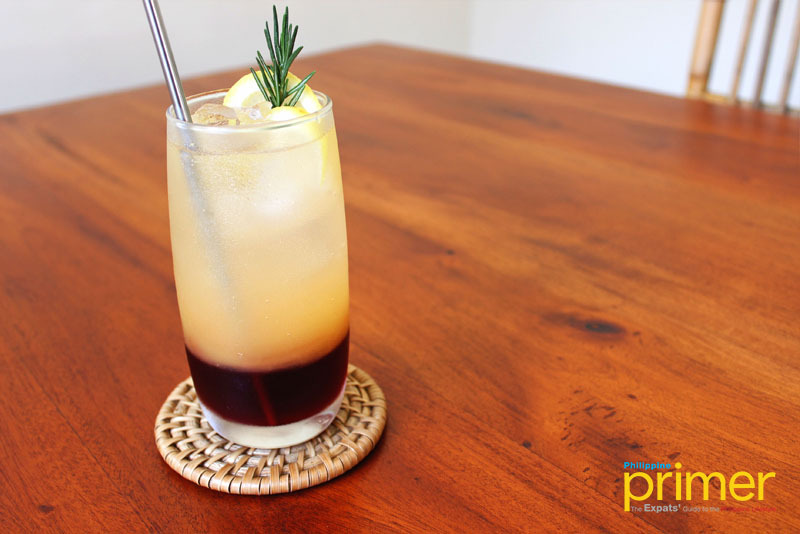 Try their Alona Sunset (Php 170), a soda blend that’s guaranteed to refresh you amidst the hot day. While the drink is soda-based, it’s not too sweet and you’ll find that it’s quite the right blend of flavors. Remember to mix the drink to enhance the flavors further. Ubeco also serves coffee, tea, smoothies, and beers. 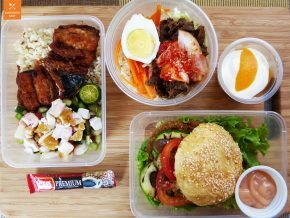 The Ubeco Sandwich (Php 300) boasts a cornucopia of veggies and teriyaki chicken that’s marinated with Yubin’s own blend—made more flavorful with their homemade salsa. Accompanying your sandwich are potato nuggets and a small side of their salsa, in case you want to add more spice to your sandwich. You can also choose to have shrimp or pork with your sandwich instead of chicken. If you’re looking for a place to stop by, relax and have a cup of coffee, Ubeco is the perfect place for you! If you’re looking for a healthy and organic seafood, you would want to drop by SEADS at the North Zen Villas. 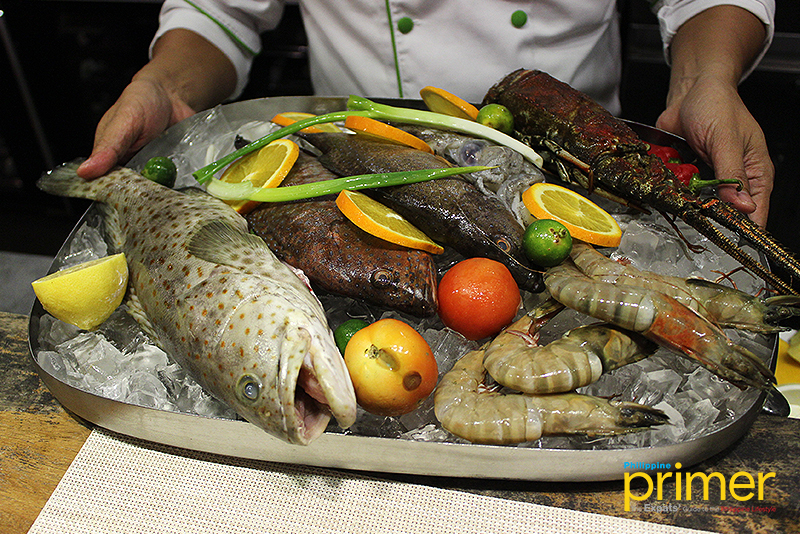 They bring the taste of the sea with some of Bohol’s nutritious farm-to-table ingredients! It’s the ideal place to have the freshest in the healthiest way possible. Sample their homegrown prawns with Baked Prawns (Php 580). It’s served with charred snow peas and tomato rice pilaf. 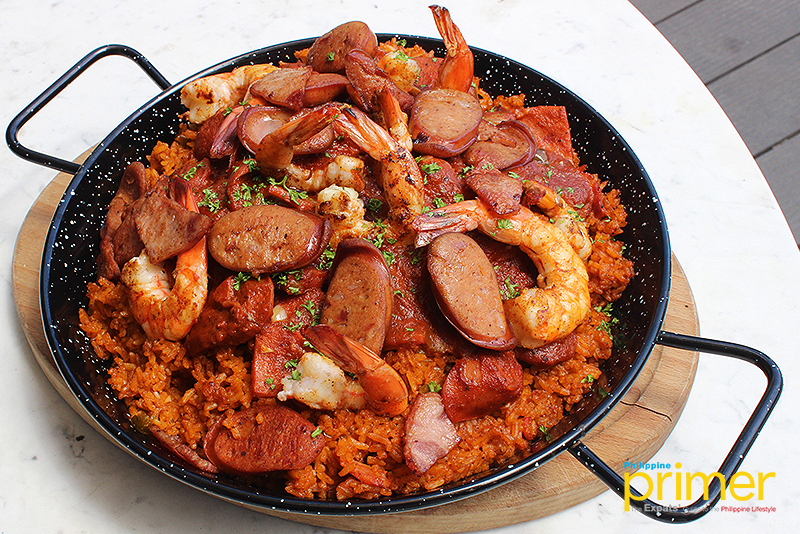 The taste resembles that of Jambalaya – it’s sweet and spicy with a little bit of sourness to it. 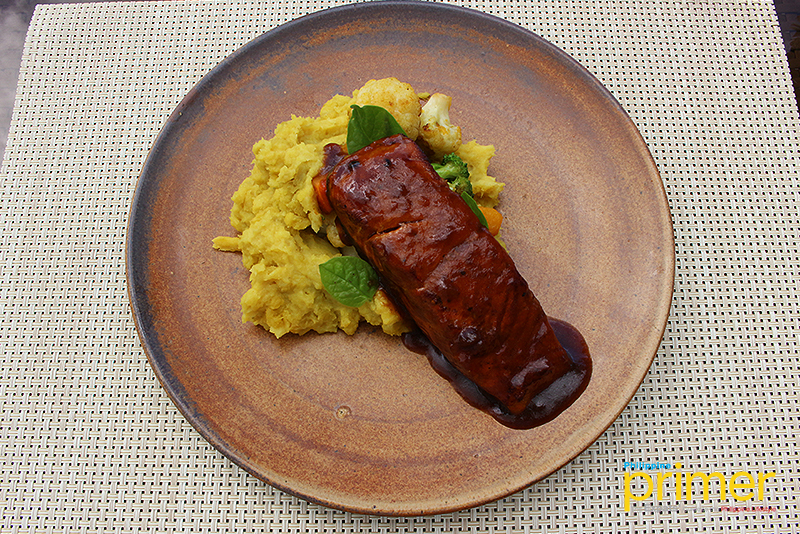 You also wouldn’t want to miss out on their Grilled Salmon Steak (Php 795) served with roasted vegetables and mashed sweet potato. You’ll love the fresh tang of salmon drenched in a barbecue-like sauce. The ensemble is completed by the sweetness of the mashed yam on the side. Enjoy organic delights and seafood in the healthiest and freshest way possible at North Zen Villas’ SEADS! 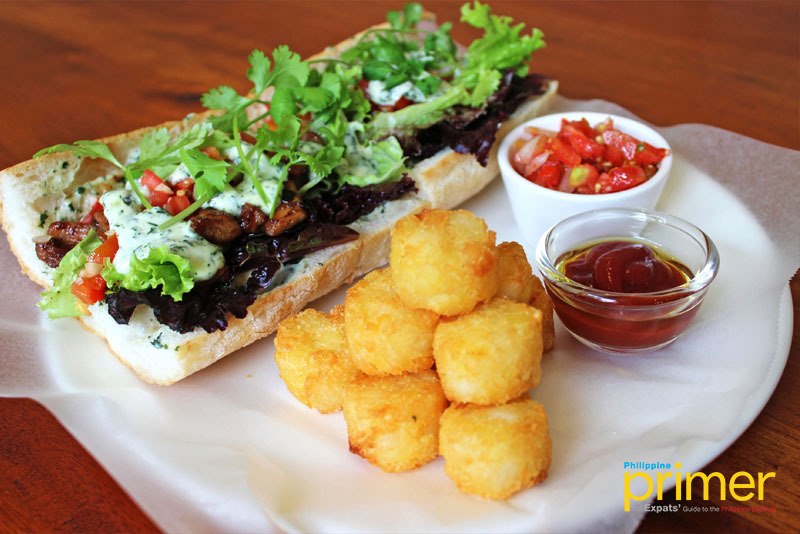 Giuseppe Pizzeria & Sicilian Roast, a family-owned restaurant in the island of Panglao, first opened in 2009. Giuseppe Genco, a Sicilian chef who has had his fair share of accomplishments, is both the owner and the founder of the said restaurant. He is responsible for designing the menu and the restaurant’s interior. Giuseppe serves authentic Italian cuisine that promises the best pasta, risotto, and brick oven pizza. 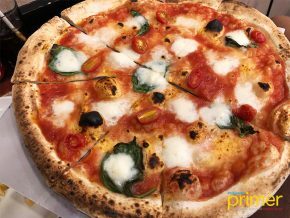 When eating Italian, you can never go wrong with pizza! 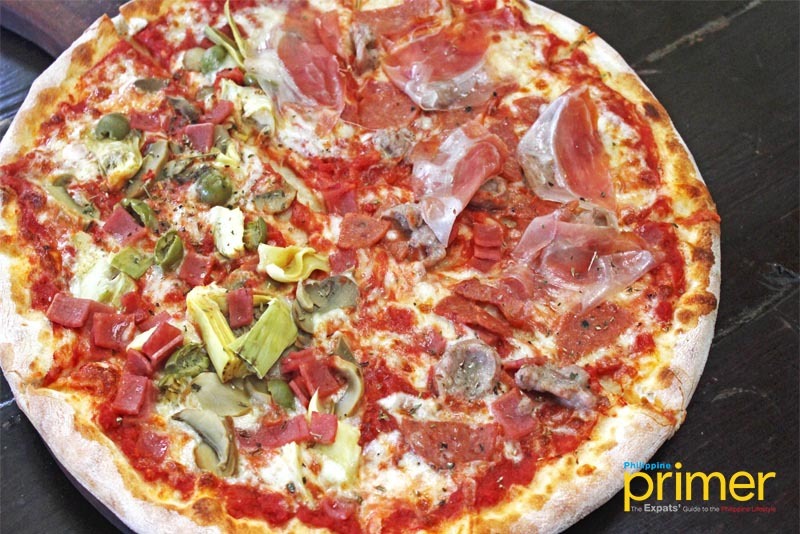 Sample their Pizza Gregorio in half & Quattro Stagioni in half (Php 576). You’ll simply love the meatiness and the savoriness of the Pizza Gregorio, including the well-balanced flavors of the Quattro Stagioni. This pizza is like getting the best of both worlds. Aside from their Italian delights, you can also find a variety of wine in their cellar that you can purchase along with your mouthwatering meal! The Tarsier Paprika is the perfect place if you’re looking for somewhere romantic to spend time with your loved one. The restaurant is located inside Donatela Hotel’s (previously Tarsier Botanika) botanical garden where their villas are also located. It sits atop a cliff that overlooks the great sea. Guests will also be able to witness the breathtaking view of the sunset – easily making Tarsier Paprika one of the most romantic spots on the island. The restaurant prides in their Seafood a la Plancha (market price), which is composed of the day’s freshest catch. 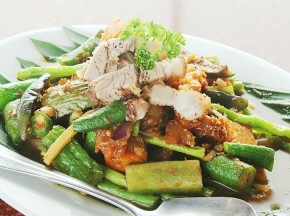 This ensemble is usually composed of Lapu-Lapu or grouper that’s grilled with Italian olive oil. The ensemble is served with either plain rice or pineapple fried rice to add to the filling combination. For that added thrill, try their version of Seafood Curry (Php 550). The dish features rhapsodic flavors from the fish, prawns, and squid topped off in a red Thai curry sauce that has a tang of lemongrass and a tease of kaffir essence. You’ll definitely enjoy Tarsier Paprika’s romantic landscape and their world-class flavors! It’s no wonder that this restaurant is one of the go-to places of people seeking solace in Panglao. Which of these restaurants are you going to try on your next trip to Bohol? Or if you’ve already been there, which of these restaurants is your favorite? Don’t forget to share them in the comments!